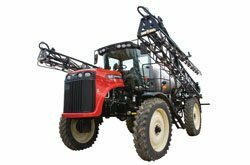 Versatile self-propelled sprayers boast an impressive boom system with an extreme-duty design. The boom was built with the most efficient strength-to-weight lattice-style construction and the center pivot is top mounted on the booms center section. 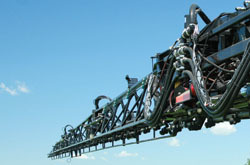 The ProAction-Flex® boom was designed to ensure your sprayer performs where it matters most. Utilizing a tandem rubber torsion suspension the SX275 has the industry’s most advanced parallel boom linkage. 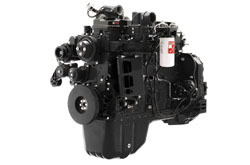 The SX275 is powered by a 275 hp Cummins QSB 6.7L engine. Working in conjunction with a five-speed Allison-automatic transmission, the engine provides over 90% of the horsepower to the ground. 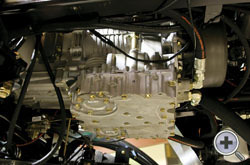 The reliable Cummins design operates at lower rpm for reduced wear and unparalleled fuel economy. The heart of the SX275 is the advanced MaxTorque® two-wheel mechanical drive system. Its superior power-to-the-ground mechanical drive operates at lower rpm than hydrostatic drives, providing the maximum level of fuel efficiency. Driven by a 275 hp Cummins power plant and a rugged-duty Allison 5-speed automatic transmission with locking torque converter. A JCB heavy-duty differential with on-the-go hydraulic lock gives you the traction you need and the ability to climb hills. Our super-strong C-channel frame with bolted cross members flexes so the wheels stay in constant contact with the ground – providing a steady and stable ride over challenging terrain. The Versatile SX275 has a hydraulic adjustable axle from 120 to 152 inches, that is suspended with an automatic leveling air bag system with sway control. 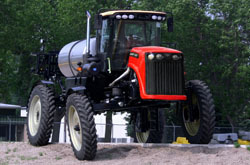 The SX275 is one of the strongest and most flexible sprayers on the market. High strength alloy C-Channel frame rails are weld free and allow the frame to flex. The flex allows the sprayer to maintain contact with the ground in rough and uneven terrain to ensure the power is always on the ground. The product tank is a 1200 U.S. gallon (4540 L) stainless steel tank with an incorporated 120 U.S. gallon (454 L) clean water rinse tank with internal bulk head. The tank also features front and rear sight gauges for the product tank. The ProAction-Flex® Boom on the Versatile SX275 sets a new standard in boom performance. Its extreme-duty design incorporates the most efficient strength-to-weight lattice-style construction. 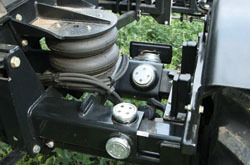 In addition, the center pivot is positioned high on the center section for the ultimate in balance and stability. With the ProAction-Flex Boom, you’re able to tilt and/or lock the full length of the boom in place, allowing the boom to pivot freely or be held rigid to the chassis to assure even application across the full width of the boom. In fact, it’s so strong and finely balanced; you can turn at speed without it dipping into the crop. 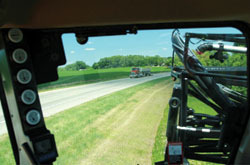 The ProAction-Flex Boom also incorporates a sophisticated three-stage progressive dampening system for yaw control, minimizing the forward and backward movement of the boom that can cause imprecise applications. 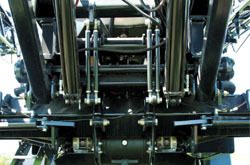 Its tandem rubber torsion suspension is the industry’s most advanced parallel boom linkage. The ProAction-Flex Boom travels “in sync” with the Versatile SX275, ensuring that products are distributed evenly and precisely. The SX275 has a large spacious cab with an ergonomic layout and noise reduced environment. 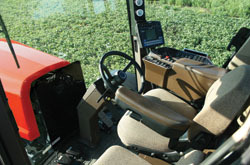 The cab also features a standard training seat. 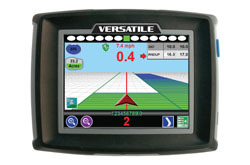 The Versatile SX275 is equipped with a completed precision ag set-up and integrated right hand console for simple and convenient operation. 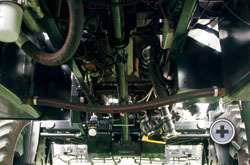 The cab has 10 forward facing lights and 4 boom facing lights and boasts an excellent view of the front tire tracking.